A set of controversial lame-duck proposals are in outgoing Governor Scott Walker’s hands. 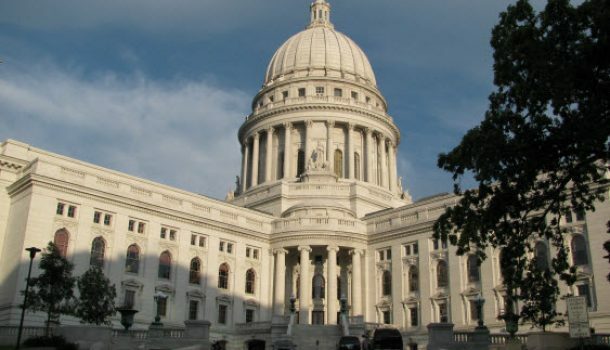 Republican lawmakers pushed the sweeping bills through yesterday that would limit early voting and limit the powers of incoming Governor Tony Evers. Walker recently indicated he would sign the proposals before he leaves office in early January. He could also issue partial vetoes to at least two of the measures. Democrats are considering litigation if the bills are signed. Governor-elect Tony Evers says he wants to discuss a set of controversial lame-duck session bills. The bills that would restrict Evers’ powers as governor were passed yesterday after an all-night session held mostly in secret. Senator Rob Cowles was the only Republican to vote noon the most controversial bill, joining all Democrats in opposing a measure that would grant the Legislature more power over the governor and attorney general and limit early voting. Wisconsin lawmakers are rejecting a bill that would protect health insurance coverage for those with pre-existing conditions. The bill failed yesterday after an all night session. All Democrats and two Republicans in the Senate voted against the legislation, killing the bill passed by the Assembly last year.